Looking for a House, Condo or Townhouse for sale in the Norgate or Peberton areas of North Vancouver? Norgate and Pemberton are situated at the south-western boundary of North Vancouver right next to West Vancouver. The two communities are clustered around Marine Drive. The neighbourhood of Pemberton was settled in the 1920s through the 1940s, taking advantage of the flat waterfront land to house the Burrard Inlet's shipyard employees. Today Pemberton is the area west of MacKay Ave north of Marine Drive and Norgate is the neighbourhood south of Marine Drive stretching south to Welch St.
Norgate and Pemberton are really the only communities in North Vancouver that are right at sea-level. They are two of the most affordable regions in North Vancouver for detached residential real estate. In the region you will find an array of single family homes, most of which were built shortly after WWII. Norgate was originally developed back in the 1940’s as housing for the workers at the Lower Lonsdale shipyards. There are mostly ranchers in the region, but there are also some two story homes. There are also condominiums in the area with many new ones currently under construction. Please contact us to search for real estate in Norgate / Pemberton. The communities have a number of small parks scattered throughout, but are close to the Capilano River, with Klahanie Park to the west and Capilano Regional Park just to the north, along with the popular Capilano Suspension Bridge tourist attraction. Just to the west, past the Park Royal Shopping Centre is Ambleside Park along the waterfront. Simply put, Norgate and Pemberton are close to everything. Marine Drive is at most 4 blocks away, and connects to everywhere on the North Shore. Nearby is a large Save-On-Foods store, restaurants, coffee shops, and services. 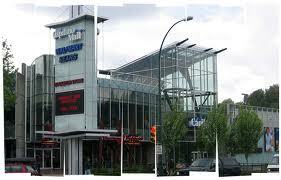 Mini-malls line Marine Drive as well as the larger Capilano Mall. Going west on Marine drive immediately takes you to West Vancouver and the Park Royal Shopping Centre, recently renovated, it is one of the largest shopping centres in the region. Very close-by is also the North Shore Auto Mall. The area is renowned for its terrific sense of community and proud owners. The area is served by Norgate Elementary south of Marine Drive and Capilano Elementary north of Marine Drive. The nearest high school is Carson Graham Secondary. It doesn’t get any better for commuters since Norgate and Pemberton are located right next to the entrance to the Lions Gate Bridge offering immediate access to downtown Vancouver. Due to Norgate and Pemberton’s very central location, the region is served by regular transit running along Marine Drive. Take a bus downtown and be there in 10 minutes!